The Christmas Run pool in Wooster used Shelter-Rite® Style 8028 with a Tedlar top finish to create a small, poolside awning. 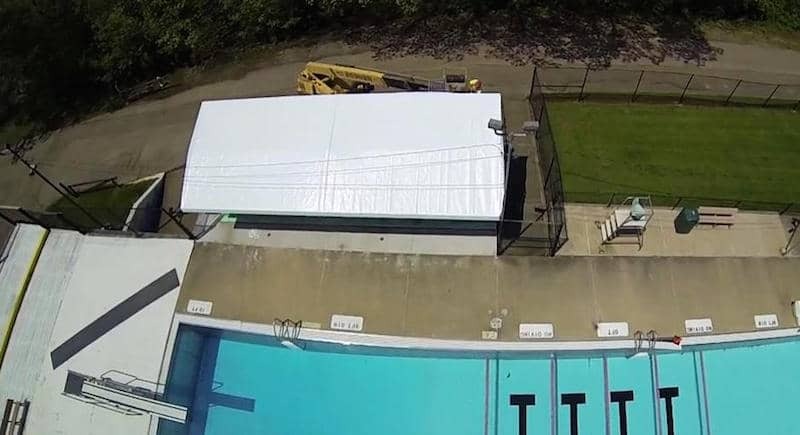 When the local city pool in Wooster, OH came to Seaman Corporation in need of an awning, Seaman was pleased to offer a cost-effective solution to for additional shaded space. The Christmas Run pool in Wooster used Shelter-Rite® Style 8028 with a Tedlar top finish to create a small, poolside awning. This awning covers an area of bleachers so local children have a place to find relief from the sun during the peak summer hours. This space will also be ideal for outdoor classes and activities at the pool.